When talking about entrepreneurship and making it big, a quick reference doesn’t do Elon Musk justice. Many might say his goals of making life interplanetary or reducing global warming are bold and even unfeasible, but so were online payments or private space programs a few decades ago. The now tech mogul Elon Musk started off at 24 when, together with his brother, founded a software company to develop an on-line city guide for the written media. Although financed by their father at first, Zip2 quickly gained the attention of large publications like The New York Times or the Chicago Tribune. After trying to become CEO but facing rejection from the board, Elon Musk received $22 million when the service was sold to Compaq, 4 years after its foundation. One of the qualities that made Elon Musk what he is today was, of course, his extensive knowledge in the technical field. However, knowledge has little power by itself and every start-up comes with its own set of challenges; It takes persistence and drive to be successful, and the young entrepreneur had them both. After only one month from Zip2 being entrusted to Compaq, the bold entrepreneur started the online payment company X.com, which merged with Confinity – the company behind PayPal – a year after its creation. In the autumn of 2002, the now-famous online payment service was acquired by eBay, which brought Musk $165 million corresponding to his 11.7% of the shares. 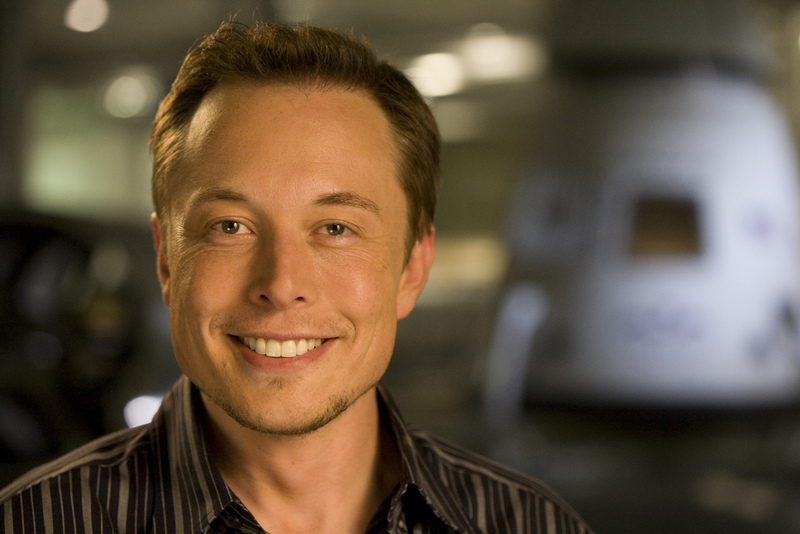 However, Elon Musk’s passion towards space exploration drove him to work on the “Mars Oasis” concept while still on the board of PayPal. The abstraction of developing greenhouses on Mars was meant to spark interest towards space and interplanetary life as viable alternatives to our polluted planet. After two unsuccessful meetings with Russian companies in an attempt to acquire refurbished ICBMs (Inter Continental Ballistic Missiles) for his daring plan, Elon Musk quickly apprehended it would be much more convenient to start his own rocket-building company. This is how SpaceX was born in the summer of 2002. Space Exploration Technologies focuses on the progress of rocket development. After a series of successful launches and the historical berth to the ISS, NASA awarded SpaceX a contract to develop transportation means for astronauts and other cargo to the ISS. In 2015, SpaceX revolutionized space travel when their orbital rocket landed on its launch pad. The breakthrough significantly lowers costs of space exploration by allowing the company to reuse rockets. Although Elon Musk’s achievements at SpaceX are outstanding, he is planning to go even further and build the most powerful rocket in the world, the Falcon Heavy, later this year. Enticed by science fiction novels and burning curiosity about space and other planets, Elon Musk is determined to decimate costs of space travel and contribute to Mars colonization in his lifetime. He is confident in the success and perpetual advancement of the Space Exploration Technologies. Looking back at their astonishing achievements, you can see why. Although Tesla Motors exists since 2003 and Musk became the chairman of the board of directors in 2004, he was mainly focused on product design for the Roadster. It wasn’t until the 2008 financial crisis that Musk became product architect and CEO of Tesla Motors and implemented environmentally-friendly policies and concepts in the development and production stages. Apart from the famous electric cars, Tesla Motors also provides electric powertrains to car manufacturers worldwide, who also became long-term investors in Elon Musk’s automobile company. How Did Elon Musk Do It? How did Elon Musk manage to surpass everyone’s expectations and turn every rejection and failure into a greater success? When he traveled to Russia for negotiations, Elon Musk was not taken seriously at first and faced rejection. The second time, the proposition turned out to be disadvantageous for his “Mars Oasis”, because of the high prices required. Instead of giving up, Musk decided to create his own rocket-building company as soon as the plane took off from the Moscow airport. As cliché as it may sound, being determined and believing in himself made Elon Musk what he is today. Extensive knowledge and educational background were a must, but hardly enough to become one of the most appreciated figures of the 21st century. Negotiation skills and intuition also helped develop himself and reach his full potential. Understanding how society works, he donated to multiple political presidential campaigns, but kept his stance and retaliated when organizations he supported did not share his environmental perspective. A good understanding of psychology of the masses also contributed to his success, best demonstrated by initiatives to raise awareness of the future of our planet and effects of pollution. This paved the way to success for SpaceX and Tesla. No question about it, Elon Musk is one of the most brilliant minds of the century and we cannot wait to see how the Mars project turns out. We are sure it will not disappoint. Amanda Wilks is a Digital Marketing Specialist and a Contributing Editor at Salary Site, with a great interest in everything related to career-building, personal branding, and entrepreneurship. She loves helping people find meaningful careers and reach their true potential.